The winner and runner-ups of World Mayor 2012 will be chosen based on the number of nominations in relation to the size of their cities and, more importantly, on the persuasiveness and conviction of testimonials received during this year's World Mayor Project. Below we publish a selection of comments received to date about WM nominee Len Brown, Mayor of Auckland, New Zealand. Mayor Brown has signed up to the City Mayors Code of Ethics. Comment: Well, personally I like him but most importantly I agree with his decisions he makes. With the almalganmation of Auckland he was the only man that could be the glue that holds the ship together, structurally with sails up, steering it and navigating it where it needs to go. This new structure is imperfect but any structure can work if you have the right people in it. 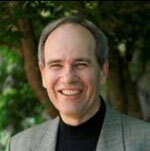 Len Brown is a persuasive debater but he also likes to hear the facts and follow a fair proccess. He has created alot of goodwill between the local boards and the Council controlled organisations. The form the council took and roles local boards had were upto the Mayor to decide, Len Brown was working and meeting people before the council was officially sworn in so the council could be up and running from day one. Len Brown is an inclusive mayor, with great knowledge of Auckland, he set out to change the culture of how the former Auckland City council was run which was devisive and lacked transperancy. Basically the council has run without hiccups. He had a 100 projects in 100 days list for his first 100 days which suggests to me he was aware of what projects were in the works and which new ones where needed to prevent the city from stagnating. The council could have easilly failed to meet tight deadlines placed upon it to furnish its annual plan, spatial plan, longterm plan, and Regional Land Transport Programme, with the unitary plan to be finalised and maybe others I don't know of. Comment: Len Brown has undertaken an impossible task. He has been the first Mayor of a council that was merged, against the majority of the peoples preference, from 8 councils into a single council. He took the helm after a different group (The Auckland Transistion Authority) had spent a year throwing together (literally - no planning involved here!) a rough plan for a council based on a specific political ideaology with the mantra of "make it cheap" rather than "make it good". Comment: Len Brown is interested only in the ethnic constituency that elected him - Maori and Pacific Islanders, he cares nothing for European New Zealnders nor our culture, even if he is one himself . He takes multiculturalism so seriously that it has created a racial divide. A recent example of his unworthiness was The Queen's Diamond Jubilee which passed through Auckland without so much as a whimper; no mayoral leadership or significant civic event to commemorate or celebrate the amazing achievement of our head of state. The mayor's neglect of this important milestone indicates to me he is not worthy. If this man is so popular why is it that he had to literally ask - top prize for cringeworthy behaviour - for a round of applause from the audience made up of members of the public who had gathered to witness the reopening of Auckland's historic Tepid Baths as he began his speech at the official opening?